Author and educator David Baillie ’88 published his debut novel “What We Salvage”, a dark novel set inside Hamilton’s “boot culture” of the ‘80s. The book is also dedicated to Nina DeVilliers, another HSC alum. 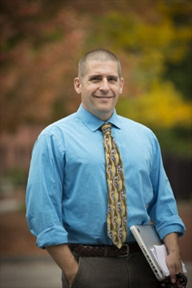 This book is the first in a trilogy called “Sons of Hammer” written by the Hamilton born author, now working as a teacher at Worcester Academy in Massachusetts, where he lives with his wife and four children. Following the launch of his first novel and its subsequent review in The Hamilton Spectator, we look forward to reading the rest of the trilogy. 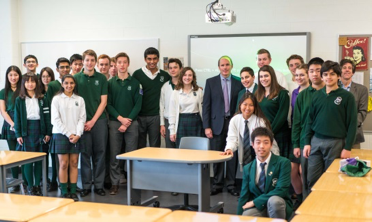 On January 28, 2016, Warren returned to campus from his home in Florida at the invitation of HSC Economics teacher Mark Ryall to speak to the Senior School Investment Club. Over 20 students attended the meeting where Warren was able to share his story and give them pointers to success. They all benefitted from his experience and insight into the world of finance and we thank Warren for taking the time to return and mentor this group of students. 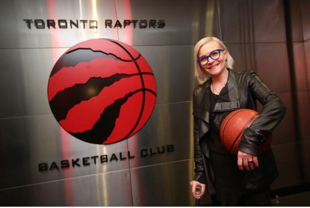 In her position as senior vice-president and head of brand, advertising and sponsorship for BMO Financial Group, Justine continues to make her mark in the professional sports world as last August she signed endorsement deals with Lowry as well as Canadian-born NBAers Andrew Wiggins, Kelly Olynyk and Tyler Ennis. The players, role models for young Canadians with their own hoop dreams, get involved in kids’ sports clinics, promoting the bank and the sport. Justine continues to balance her high flying business life in Chicago with managing her personal life in Burlington and supporting her husband and daughter, current HSC student Alessandra. Congratulations Justine on your continued success. Maggie Fox '91 has recently been appointed to to the board of the DMZ at Ryerson University. The DMZ at Ryerson University is one of Canada’s largest business incubators for emerging tech startups. It is the top-ranked university incubator in North America and third in the world, and helps startups succeed by connecting them with customers, advisors, influencers and other entrepreneurs. Maggie is the former CEO and founder of Social Media Group, one of the world’s first pure-play social media agencies, and most recently Global Senior Vice President of Digital and Content for enterprise software giant SAP. In 2011, The National Post named her one of Canada’s Top Innovators, and Marketing Magazine included her in their list of the 100 most influential marketers. She also sits on the board of The Heart and Stroke Foundation. 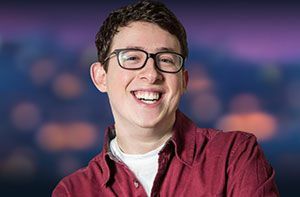 Mayce '12 has been following his passion as a stand up comedian since leaving High School and recently has been rewarded by reaching the finals of SiriusXM's Top Comic 2016 contest. Since launching his career at the age of 15 he has had much success and is often on the road, but when he is home he can frequently be seen at Yuk Yuk's in downtown Hamilton. 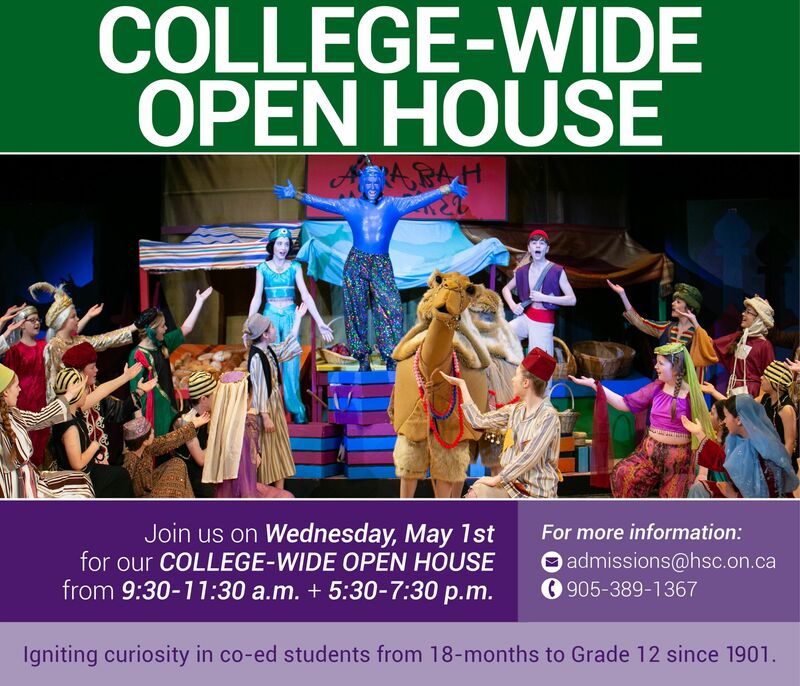 He has appeared at Just For Laughs, the Winnipeg Comedy Festival, and the Halifax Comedy Festival and performed on CBC’s The Debaters. He has also appeared on MTV, BiteTV, and taped a set for Kevin Hart’s LOL Live, and has opened for big names in comedy including Doug Stanhope and Gilbert Gottfried. Mayce was the winner of the 2013 Brantford Comedy Festival Rising Stars Competition, the 2014 Go Yuk Yourself Comedy Competition, and the 2015 Border City Comedy Competition. In September 2016, Mayce released his debut comedy album with TooFar.TV. In January, Sarah Garside ’83, HSC alumnus, McMaster Psychiatry associate professor and mother of four, exhibited her first oil painting “Orchidesque” at the Louvre in Paris as part of an international exhibition organized by the French National Society of Fine Arts. Sarah started painting portraits as a 14 year old and helped to pay her way through university, and even helped to create HSC’s first art summer camp. She had left her art behind to pursue her career in medicine and to focus on her family, only recently taking up her talent again with amazing results. We look forward to seeing your future paintings Sarah, congratulations. At the end of the 2015, Colin B. Glassco ’61 was awarded the Meritorious Service Cross (Civil Division) through the Office of the Secretary to the Governor General. “His honour recognizes a deed or activity that has been performed in an outstandingly professional manner, improves the quality of life of a community and brings considerable benefit or honour to Canada.” Colin’s tireless work for Zambia and Canada since 1996 making considerable improvements to many lives and communities ensures that he richly deserves this award. Many congratulations Colin. On January 8, 2016, HSC alum Mackenzie Hamilton ’14 achieved a major milestone by representing Canada in the FIS Snowboard World Cup competition in Bad Gastein, Austria. Mackenzie is a former CISAA U20 snowboard champion, and has continued her passion for the sport while studying Microbiology and Immunology at McGill University. Congratulations Mackenzie! 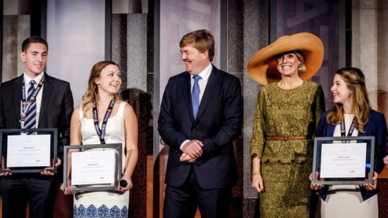 In May 2015, Naomi, who was studying Food and Nutrition Science and Business at Brescia University College at Western, received a scholarship from the King and Queen of the Netherlands to complete her studies in Holland. The Liberation Scholarship Program is a symbolic gift to Canada as a token of appreciation for the sacrifices the country made to liberate the Netherlands 70 years ago. The scholarships are funded by the Ministry of Foreign Affairs, the Ministry of Education, Culture and Science (OCW), Dutch companies in Canada and 24 Dutch higher education institutions. Many congratulations Naomi and we wish you well in your studies. Mark A. Kaiman ’83 has been selected as a Washington Super Lawyer for 2015. 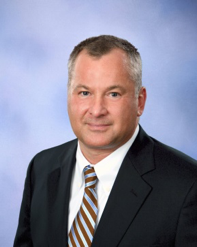 Mark is a partner at Lustick Kaiman & Madrone PLLC in Bellingham, Washington. His practice focuses on federal and state criminal defense, as well as military defense matters and courts-martial. Mark also sits as a regular Judge Pro Tempore in the Whatcom County District Court. Will played rugby throughout his time at HSC, captaining the first U14 to a CISAA championship, a team which went on to great success at U16 and U18. He has played provincially since the age of 14 and has been coaching school rugby and playing academy rugby in England during his gap year. During his first season on the McMaster University team in 2016 where he is studying Kinesiology he was recognized as the OUA Rookie of the Year, Rugby Ontario Junior Provincial player of the Year and was part of the McMaster bronze medal winning team. 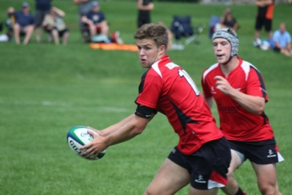 Will also who won the McCormick Cup with his Brantford Harlequins club team, represented the U19 Ontario Blues for a second year, graduated from the Canadian U18 to U20 setup, and played for the senior Ontario Blues. In January 2017 he will move to train at the Rugby Canada Centre of Excellence in Langford, BC. Luke is currently working for Partners International Canada and has recently completed a short documentary on the Syrian refugee crisis, which you can view at https://vimeo.com/147814792. Designer, entrepreneur, and business woman, Lori Morris is proudly celebrating the 30th year of her design firm, Lori Morris – House of LMD in Toronto. 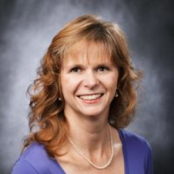 Lori completed her design training at the International Academy of Design and Technology, and graduated from York University with a Bachelor of Arts degree. She works with an exclusive clientele across North America including Dallas, Miami and San Francisco with a branch office in Muskoka. Leading an extensive team of professionals in-house and abroad, Lori’s design philosophy has evolved into her own signature LMD style. Her work has been featured in publications around the world with a project in the Robb Report dubbed the Robb Report Home and Style’s Ultimate Home 2016. As Lori’s business continues to grow, she is in the process of presenting her highly anticipated online store this Summer and is looking forward to showcasing her signature product line to the world. 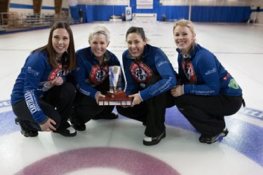 In January this year, Britt was part of Jenn Hanna’s curling team that won the Ontario Scotties Tournament of Hearts in Brampton, knocking out the two time Canadian champion, and arguably the best female curling team on the circuit this year. At the end of February, they went on to represent Ontario in Grande Prairie, Alberta at the Canadian National Championships. Despite a valiant effort, they were unable to bring home the title, but were great ambassadors for Ontario curling. Congratulations Britt! In February 2017, Gail was appointed as President of the American College of Psychiatrists. The college comprises more than 750 psychiatrists in North America who have demonstrated excellence in the field of psychiatry, and achieved national recognition in clinical practice, research, academic leadership, or teaching. Gail will assume her term as President in February 2017. Dr. Robinson is a board member of the American Psychiatric Association, and the Group for Advancement of Psychiatry. She is also a member of the Council on Minority Health and Health Disparities, and Chairs the Committee on Gender and Mental Health. In March Gail also achieved her Renshi degree in karate, an honor given to those who have a 4th degree blackbelt and teach karate. In June 2017 Gail was appointed to the Order of Canada for her pioneering contributions to women's mental and physical health, and to the advancement of professional regulation in health care. Dr. Sheila Singh '90 (McMaster University) and her team were recently awarded 2.25 million in funds from the Terry Fox Reasearch Institute through the New Frontiers program, to find new treatments to fight incurable brain cancer. The new TFRI “dream team" will study relapsed brain cancer tumours to find new treatment options. As project leader, Dr. Singh will work with investigators Drs. Sachdev Sidhu and Jason Moffat, Donnelly Centre for Cellular and Biomolecular Research, University of Toronto; and Dr. Robert Rottapel, Princess Margaret Cancer Centre, UHN and U of T.
Karenna was called to the British Columbia Bar in 2012. She has since been immersed in test case litigation relating to Aboriginal Law. In 2014, she made closing remarks before Justice Harrington in the Federal Court on the Sechelt and Kamloops Nations’ test case class action for compensation for those who attended residential schools but did not stay overnight, as they were excluded from the original Residential School Settlement Agreement. She is part of the legal team of Peter Grant & Associates, representing the Ktunaxa Nation before the Supreme Court of Canada in their appeal to protect their sacred practices and their relationship to the Grizzly Bear Spirit. She will be in the Supreme Court of Canada in December, 2016.